They are four points clear of Borussia Monchengladbach in second. Lewandowski, who left Dortmund in 2014, went down looking for a penalty under what looked minimal contact from Julian Weigl but the referee waved play on. Dortmund, looking to equal a club record of 11 Bundesliga games without defeat, started brightly and the English winger Jadon Sancho nearly got clear on the counter. Dortmund were handed the ideal opportunity to get back into the game just three minutes into the second half when Reus was brought down in the box by Neuer, and the BVB No. 11 picked himself up to send the goalkeeper the wrong way and equalise. Lewandowski then thought he had a hat trick, but the flag was up for offside after he found the roof of the net with a powerful strike. Alcácer, though, failed to convert due to Jérôme Boateng's superb saving tackle and Jacob Bruun Larsen sent the rebound over. Dortmund completed the turnaround on 73 minutes when Franck Ribery was caught in possession by Sancho, who fed Axel Witsel. 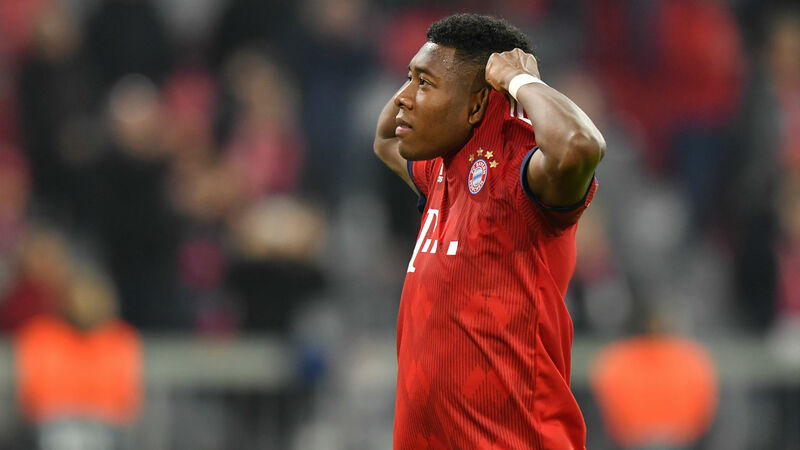 Bayern looked for a late equaliser, which nearly arrived when a free-kick from Kimmich was inadvertently headed back towards his own goal by Reus, the ball dropping just past the post.